Welcome back again to our weekly energizer. So sorry for a break in giving you your weekly energizer. It was a little issue, but we have reached out above and beyond it. We promised that July will be focused on responsibility. Now here is the deal: the weekly energizer for August shall also continue to focus on responsibility. This is to ensure that we are able to dish out more weekly energizers on the subject of responsibility. 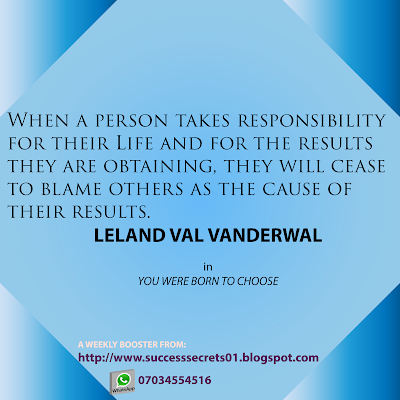 When a person takes responsibility for their life and for the results they are obtaining, they will cease to blame others as the cause of their results. 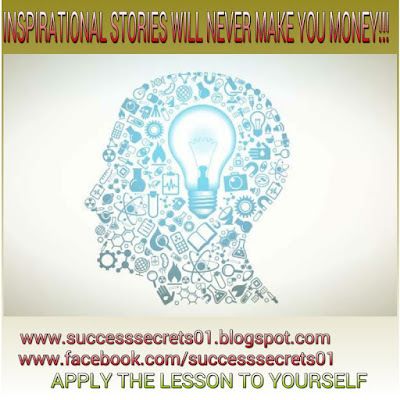 I AM RESPONSIBLE FOR MY LIFE, FOR MY FEELINGS AND FOR EVERY RESULT I GET! 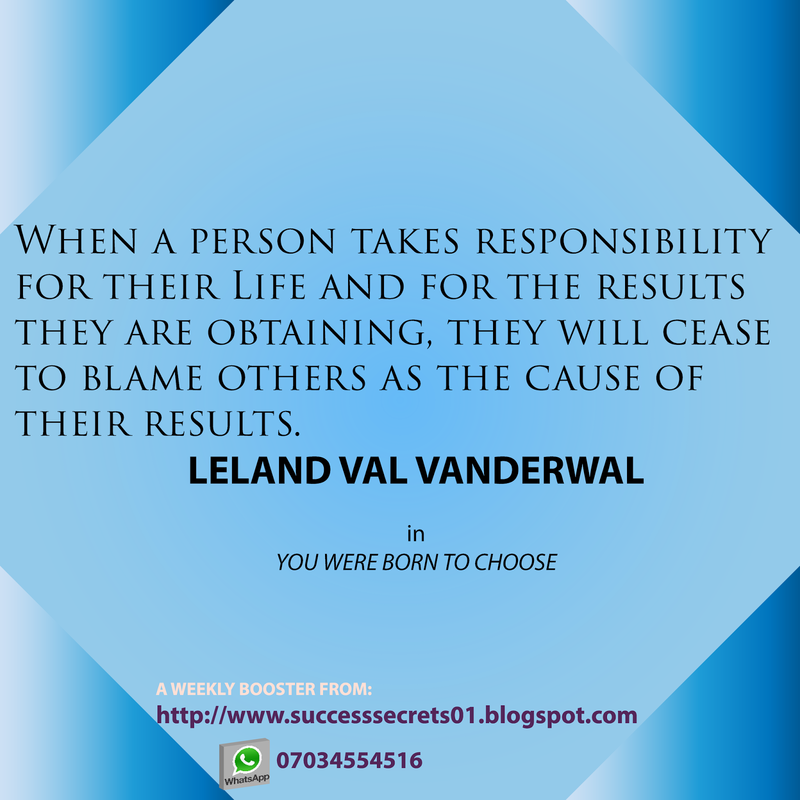 Though we live in a society where blaming others is the norm, we must understand that to truly realize our potential and gain the freedom which is our birth right, we must continue to take responsibility for our life, for our feelings and for every result that we get. If we believe that we are the problem, then we can seek for ways and means to remedy the situation, but if we believe that the outside world is the cause of our problem, then we remain bound. Share with your friends and loved ones............Until we meet on the next weekly energizer!